Don’t let summer steal your style! 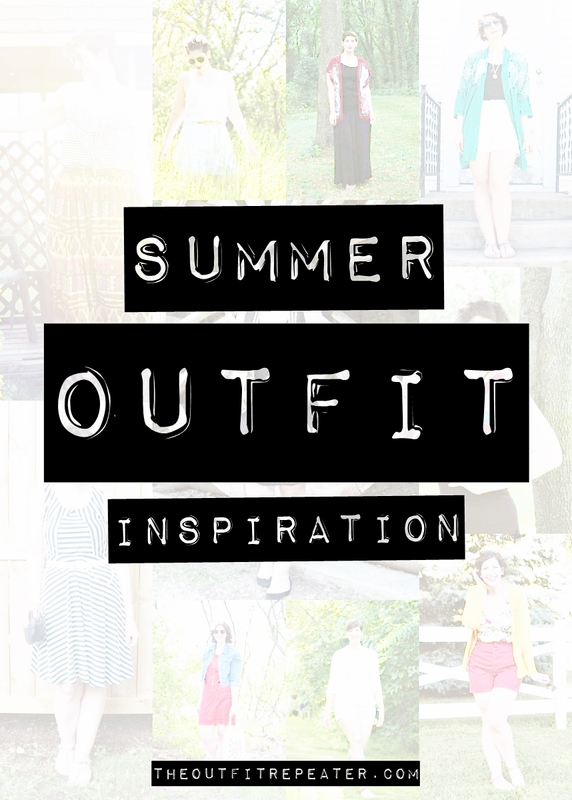 Take it back with some inspiration from The Outfit Repeater archives. Continue reading"5 Easy Ways To Step Up Your Summer Outfits"
When in doubt, why not wear all the primary colors in one outfit? Green hair and all! 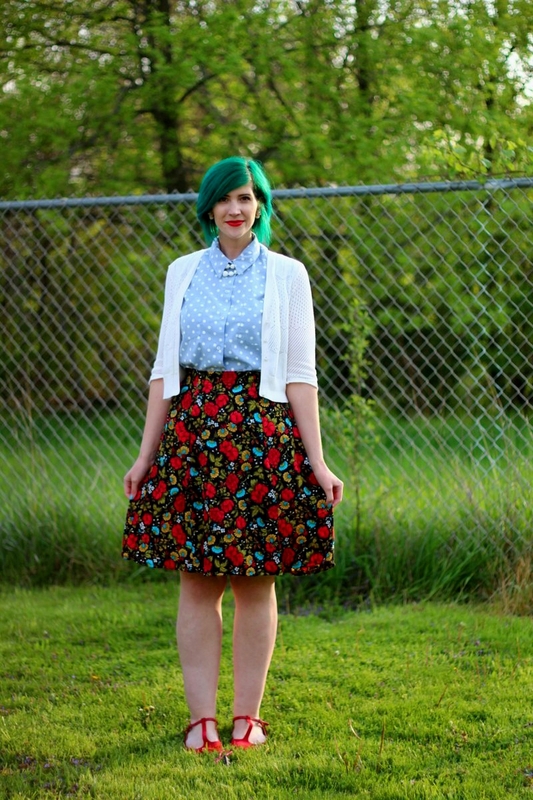 Continue reading"All The Primary Colors In One Outfit w/ Green Hair!" Do not attempt to adjust your screens. This colorful bomber jacket is real and it is wonderful. Continue reading"A Colorful Bomber Jacket + Tips For Wearing Statement Clothes"
It doesn’t have to be Halloween or even Friday the 13th to rock dark lipstick! Today I’m sharing a video with you to give you #OOTD inspiration on what to wear with your bold lips. Continue reading"15 Outfit Ideas for Dark Lipstick | Video"
What do you call an outfit that is the perfect combination of floral and polka dots? I don’t know but it looks something like this! 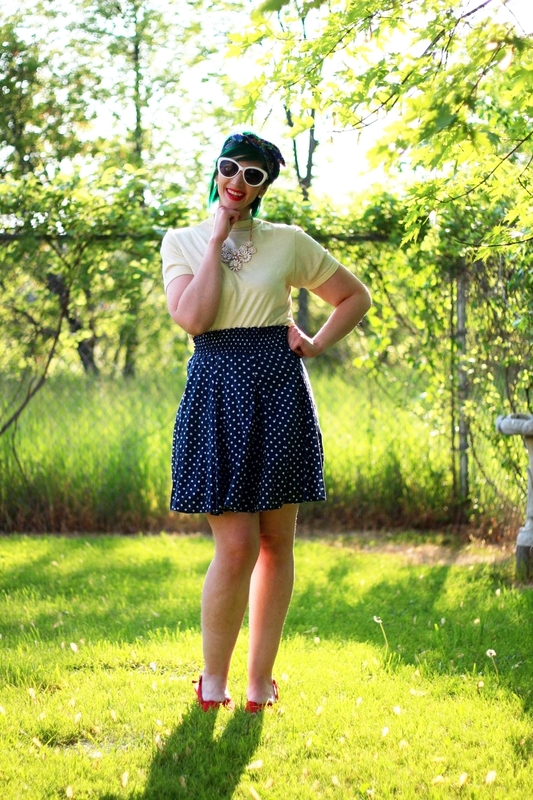 Continue reading"Styled in Polka Dots by Eccentric Owl"
Wedding season is in full bloom so take some tips from me about how to find an outfit already in your closet and how to get away with wearing white as a guest! Continue reading"What I Wore To An Outdoor Wedding"
At 25-years-old, would you let your mom dress you? In honor of Mother’s Day coming up, I did just that and this is what happened. 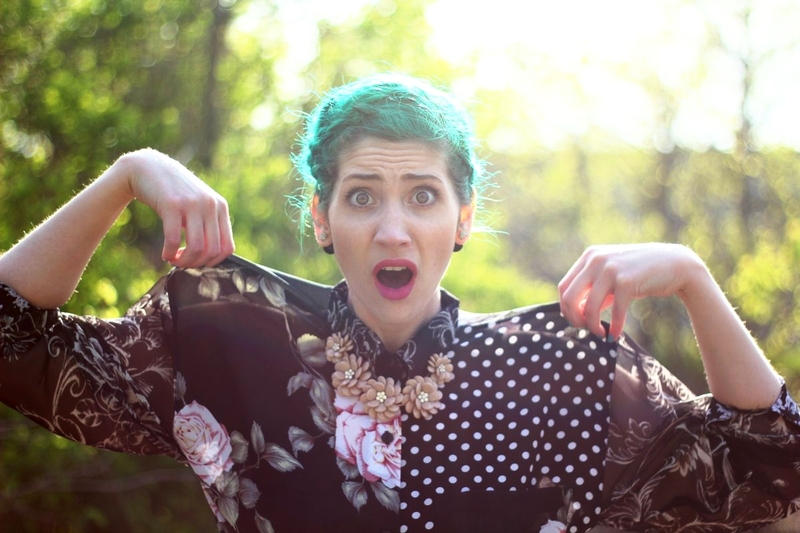 Continue reading"What It Looks Like To Have Your Mom Dress You"
What’s the big deal with being a thrifter? You’ve probably heard about it from your friends, from strangers, and you’ve definitely read it on this blog, but why should you be doing it? 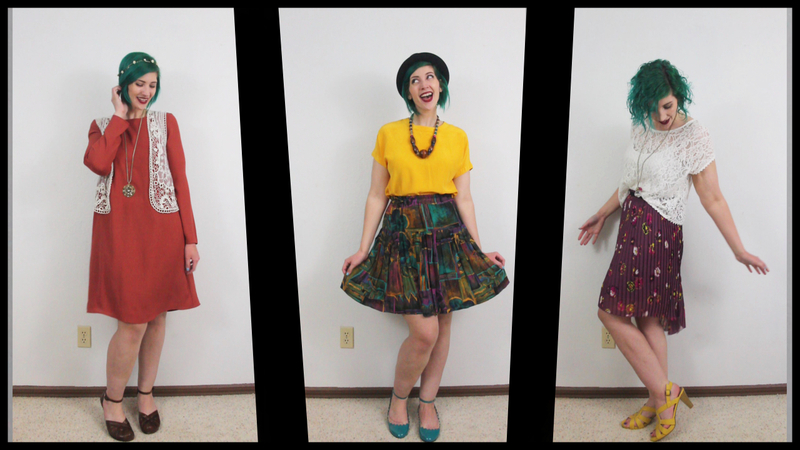 If you need a little convincing that thrifting is for you then you’re in the right place! 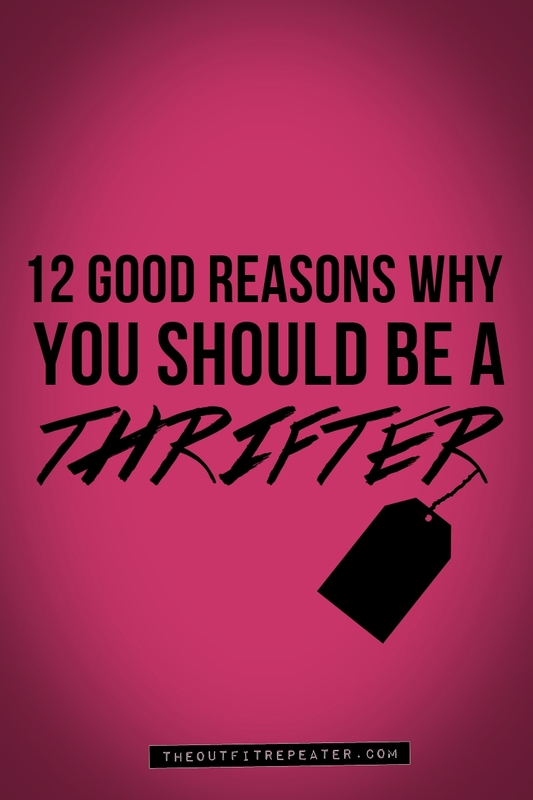 Continue reading"Why You Should Be a Thrifter"